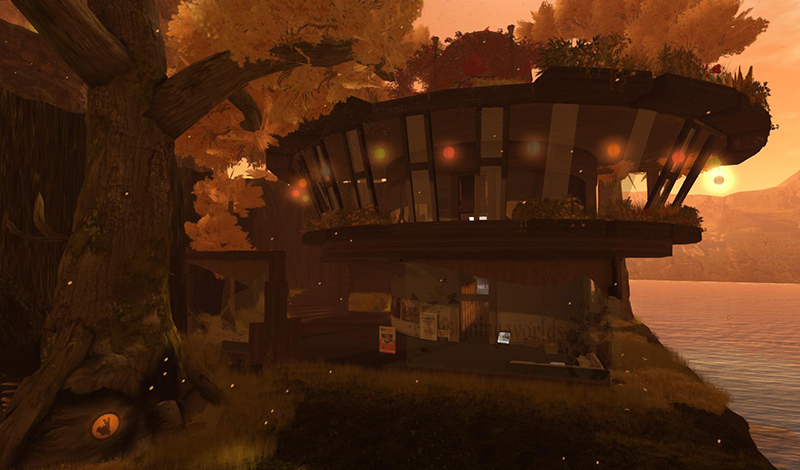 Join us at 2pm SLT today, Tueday 29th October, for Designing Worlds at our studio in Garden of Dreams, for a special recording of the Designing Worlds show (which will be shown on 11th November). The show will take the form of a panel discussion ion the recent changes of the Terms of Service used in Second Life, which has sparked a great deal of controversy. While it appears that Linden Lab are working on a redraft of this, we will be looking at the reason why the new Terms are a problem for various communities (and why some communities seem less affected). And we’ll be discussing the community’s response with Kylie Angel Skyborne of the United Content Creators of Second Life, and the legal aspects with Jamie Bryce Infinity, a lawyer with considerable expertise in this area. If you don’t make the live recording, you will be able to see the show when it goes out on Monday November 11th. Previous Post: Have a spooky Halloween with Designing Worlds at Pandemonium – with special previews of The Blackened Mirror!